Allison Leidner is the Program Manager for Education and Communication in the Earth Science Division of NASA’s Science Mission Directorate. In this role, she manages the Earth Science component of the NASA Earth and Space Science Fellowship (NESSF) program, as well as the New Investigator Program (NIP). She also oversees NASA’s implementation of the Global Learning and Observations to Benefit the Environment (GLOBE) program, an international hands-on environmental science and education program. Allison also manages a variety of Earth science communications activities. Allison is a conservation biologist by training, and began her tenure at NASA in 2010 as a AAAS Science and Technology Policy Fellow working with the Biodiversity Program. 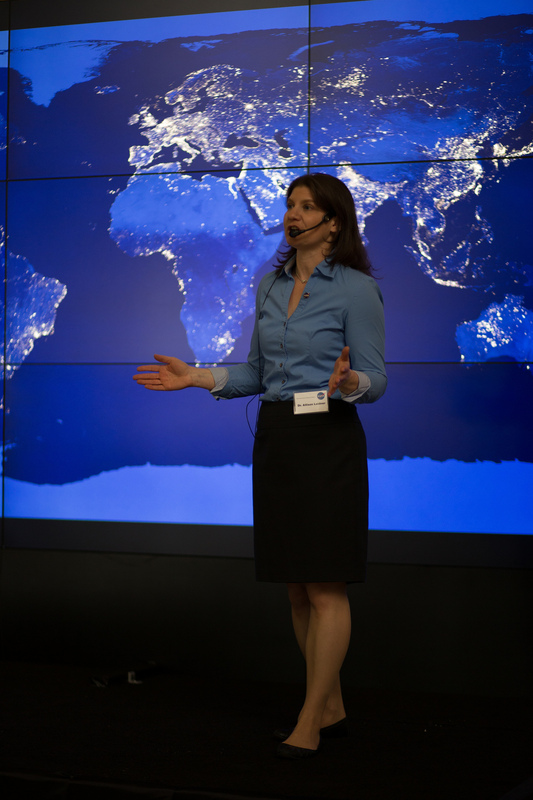 She coordinated and managed numerous aspects of the program, led involvement in special activities such as the 2016 IUCN World Conservation Congress, and served as a liaison to the domestic and international conservation remote sensing community via her work with the Group on Earth Observation (GEO) and the Committee on Earth Observation Satellites (CEOS). Allison also coordinated NASA’s involvement in the Third National Climate Assessment, a U.S. Global Change Research Program (USGCRP) activity, and later served as the co-chair for the USGCRP Sustained Assessment Interagency Working Group. She received a NASA Special Service Award in 2014. She accepted her current position in 2018. Allison’s academic research focused on the ecology and conservation of rare and endangered species. With an eye toward developing practical recommendations for natural resource management, she investigated the impacts of habitat fragmentation on butterfly communities in order to identify conservation strategies to promote landscape connectivity. She also researched the recovery planning process for plants and animals listed under the U.S. Endangered Species Act. Prior to joining NASA, Allison worked as a spatial conservation planner for The Nature Conservancy’s Caribbean Division. Allison earned a Ph.D. in Zoology from North Carolina State University and a B.S. and M.S. in Biology from Stanford. Allison’s publications can be found here.